How did camel spiders get their names? One of the myths is that because camel spiders live in the deserts, they attack camels. This is still baseless. The only truth why they’re called camel spiders is because they live in desert places like Africa, Afghanistan, Iraq, UAE and even Las Vegas. Basically, there is nothing to fear about this type of spider because it has no venom and it cannot even make its own spider web. Like most non-poisonous spiders, camel spiders bite human beings not because they are biting spiders by nature but only do so when they are threatened. But when they do bite, they can injure their victim with their strong jaws that can break any prey’s skin. On animals, camel spiders were feared to be cannibalistic. Myths say they attack camels and other desert animals and gnaw on their flesh. Camel spiders have rounded abdomen and their color is either light grey or tan. Their legs can grow up to six inches. The front legs are sticky as they are used to catch their prey and climb any surface. The other six legs are long and hairy. They are big and can grow as long as 3 feet. They can jump high and run as fast as 10 mph. In the desert, you can find camel spiders charging at you and you will definitely run in fear of their size. Soldiers’ tales say camel spiders scream; maybe it’s their own voice they heard when they ran in fear. In humans, a camel spider bite can be terribly painful. It can lead to infection because of the open skin left by the bite. Horrible stories were told of big camel spider bite on soldiers commissioned in Africa and Afghanistan. 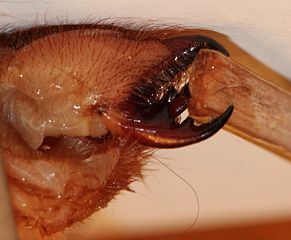 Some photos showed how the human skin was severely chewed after a camel spider bite a soldier. The soldier didn’t know he was bitten due to the spider’s anesthetic bite. 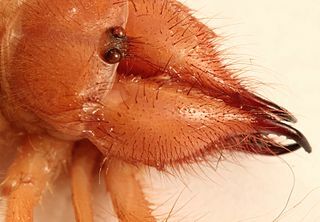 However, this may just be a tall tale as camel spiders belong to Solifugae in the arachnid class and they don’t attack preys larger than themselves. An intense pain from the camel spider’s chelicerae or pincers. In many cases of spider bite, wash the wounds to prevent infection. Antibiotics may be prescribed to prevent infection of the open wound. Prevention is always better than cure. Here are some ways you can avoid camel spider bites. Avoid any contact with a camel spider. Always check your closets or things if you think there might be a camel spider under. But when you do this, be sure to have protected clothing to avoid being bitten on the skin. Never sleep on bare grounds. When a camel spider crawls unto you, gently brush it off. Don’t panic. Avoid removing large rock piles in the sand or desert because these areas are the habitat of camel spiders during daytime. Remember that they are nocturnal so disturbing them in their habitat will surely be an unpleasant surprise to both of you.